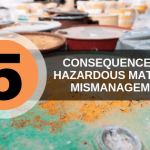 Hazardous material removal workers make a median annual salary of $40,640. But before you can handle these materials as a worker you need to receive required training for shipping hazmat materials. Where do you start? We’ve compiled some of the most frequently asked questions about hazmat training certifications to give you the boost of confidence you need to get out there and meet your requirements. How often do you need to get hazmat training? Your hazmat training isn’t a one-and-done kind of thing. According to U.S. DOT hazmat training requirements, individuals are required to undergo hazmat training once every three years. That includes workers who have been employed in the hazmat industry for years. How much does the hazmat certification cost? A CDL Hazmat endorsement costs around $100 and a TSA screening will cost around $87. 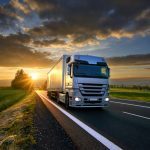 However, this price can differ depending on fees, state charges, and whether you need to update your CDL-A license. Do I really need a hazmat certification? Yes. 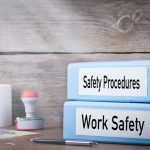 All managers and employees who prepare hazmat for transport, transport hazmat materials, and come into contact with hazmat materials need to comply with the U.S. DOT Hazardous Materials Regulations (49 CFR). How many questions are on the CDL Hazmat test? The CDL Hazmat test is usually made up of 30 questions, although this may differ. To pass your CDL Hazmat test, you’ll need to receive a score of 80%. This score correlates to 24 correct answers or more. 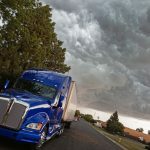 Can I retake the CDL Hazmat test if I failed the first time? Yes. Although you need to pay to take the exam each time you take it, you can retake the exam as many times as needed until you achieve a passing score of 80% or higher. Where can I get my hazmat training online? 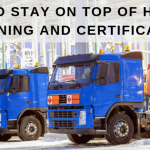 It’s required to undergo hazmat training courses and to receive a DOT hazmat certification whether you’re directly working with hazardous materials or you’re shipping hazardous materials. Up to 94% of hazmat shipments are done by truck, which means it’s important for you to know how to ship them safely. Luckily, you can get your hazmat training online through Hazmat School so you don’t need to worry about having to take time out of your busy schedule to commute. To learn more about hazmat training online or to sign up for courses, contact Hazmat School today.